Is your Lodge, Chapter, club, or service organization looking for a proven, meaningful, and effective Community Service program to participate in? ANYONE-Moose member or not-may take part in the Tommy Moose program. 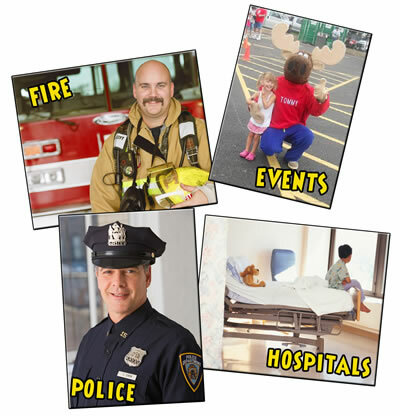 The Tommy Moose mission is to spread comfort and security to children in emotional need, directly and affordably. You’ll find Tommy a welcome addition to Police & Fire squads and aboard EMT vehicles. Tommy can help brighten a child’s outlook in Hospitals and Family Shelters-anywhere children may face uncertainty or insecurity. See the PROGRAM PAGE to get started!